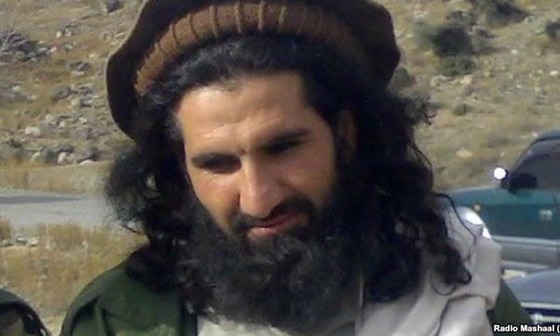 Sajna Mehsud, the new emir of the Movement of the Taliban in Pakistan. Image from Dawn. The Movement of the Taliban in Pakistan has named a successor to replace Hakeemullah Mehsud, the group’s emir who was killed by the US in a drone strike in North Waziristan yesterday, according to reports from the region. Khan Said, who is also known as Sajna Mehsud, was appointed to lead the Movement of the Taliban in Pakistan after the group’s shura, or executive council, met in a secret location, according to Dawn. “Out of 60 members attending the meeting, 43 members voted in favor of ‘Sajna’ whereas 17 others voted against him,” the report stated. The Movement of the Taliban in Pakistan has not released an official statement announcing Sajna as its new emir. A spokesman for the group said Hakeemullah Mehsud’s replacement would be officially announced in several days. Pakistani Taliban emirs Omar Khalid al Khorasani, the emir for Mohmand, and Mullah Fazlullah, the commander in Swat and the Malakand Division, are said to have opposed Khan Said’s nomination. Both commanders are candidates to lead the Movement of the Taliban in Pakistan. The Movement of the Taliban in Pakistan traditionally appoint leaders from the Mehsud tribe in South Waziristan to lead the group. Both Baitullah, the group’s founder, and Hakeemullah were Mehsud from South Waziristan. Sajna, who is from South Waziristan, was appointed as the group’s deputy emir in May after his predecessor, Waliur Rahman, was killed by the US in a drone strike in North Waziristan. Previously, Sajna commanded the Movement of the Taliban’s forces in the Miramshah area of North Waziristan. Sajna has risen in the ranks of the Movement of the Taliban in Pakistan after engineering two major attacks in Pakistan. He plotted last year’s prison break in Bannu that freed more than 400 inmates, including Adnan Rasheed. He also was involved in the May 2011 assault on Naval Station Mehran in Karachi; in that attack, two Pakistani naval aircraft, both P-3C Orion maritime surveillance planes, were destroyed, and another was damaged.